The Porsche Macan's name stems from the Indonesian word for tiger. LOS ANGELES -- The 2013 Los Angeles Auto Show has confirmed that it will host world debuts from BMW, Chevrolet, Ford, Honda, Mercedes-Benz, Mini, Porsche, Subaru and Volkswagen. The L.A. show, which will hold press previews on Nov. 20 and 21, has scheduling conflicts with the Tokyo and Guangzhou, China, auto shows happening the same week. Securing big-name debuts is key to drawing more media attention to the L.A. Auto Show. Perhaps the highlight of the L.A. show will be the unveiling of the Porsche Macan compact crossover vehicle. Porsche has shown pictures of the vehicle but has yet to display it in public. VW could show the latest iteration of the seven-seat mid-sized crossover nicknamed the CrossBlue, which was first shown in concept form at the Detroit auto show this year. More likely, though, is a model based on the next-generation Golf, which is scheduled to be built in Puebla, Mexico, starting in early 2014. At the Geneva auto show in March, VW showed the redesigned Golf Variant, a Golf-based wagon sold in Europe. VW has not yet shown the U.S.-bound redesign of the Jetta SportWagen, which -- despite its name -- is also based on the Golf. That model goes on sale in late 2014 and could be used for a spin-off nameplate. 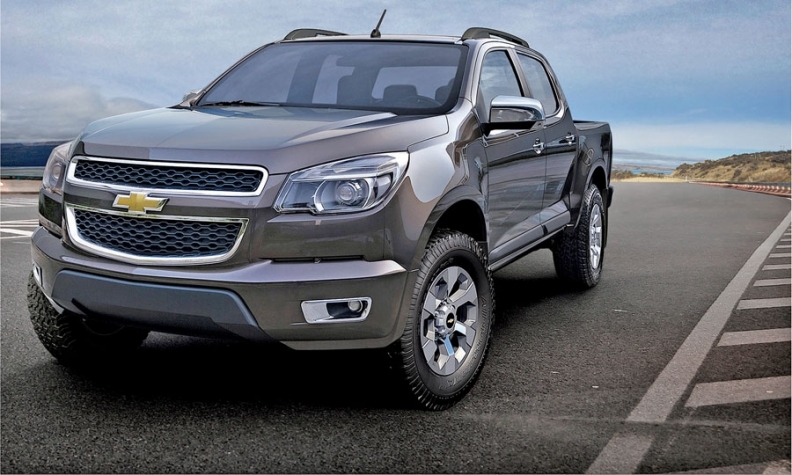 The redesigned Chevrolet Colorado mid-sized pickup is already on sale in Asia. It is expected to arrive in U.S. showrooms by the end of 2014. Mini has said it will unveil "a new Mini," although the automaker declined to specify whether that means a redesign of the basic Mini Cooper or the launch of another derivative product line. The current Mini Cooper was introduced in 2001. BMW plans as many as eight debuts, including one global premiere, L.A. Auto Show organizers said. Given the launch timing, Chevrolet is expected to unveil the next-generation Colorado mid-sized truck, although Chevrolet officials declined to confirm the possibility. Honda is in a fallow product period for mass-market vehicles but has used the L.A. show in the past to highlight green technology. Honda's product cadence shows that redesigns of the Insight, Civic Hybrid and FCX Clarity all are due in the next year to 18 months. Honda declined to comment on plans for the L.A. Auto Show. Ford, Mercedes-Benz and Subaru officials could not be reached for comment.